Not spending enough time reflecting on what it is you are looking for in a new career. Often we are in such a hurry to escape from our current career that we don’t investigate deep enough what it is we are actually looking for from our next move. For example you are in marketing and want a jump to sales. 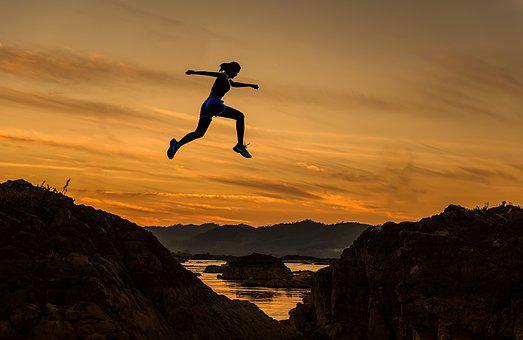 There is not really so much of a jump that you are entering the complete unknown, and the potential is that your skill set will transfer well enough and to some extent you have already been exposed to the environment of sales and it’s many wonders. Fine. What about if you want to move from marketing to Farming or Mountaineering or some other completely unrelated environment. It is worth asking all the questions around what it is you want to get out of your new career, what are the things that are drawing you to this new life and are these things in line with your predetermined check list of what you want your life to look like in this next chapter? Maybe the kids have grown up a little now and it is time for you to follow your dream, is this dream still valid?, do you still want the things you wanted when you first had the dream? Is a switch to farming truly going to give you what you currently want or can you somehow find it in your current environment. Is it possible that you can have the life you desire in your current career? just possibly in a different aspect, maybe it is worth looking at what other aspects of your current profession may fulfill what you currently need in your life. Bottom line; always start with a clear picture of what you want from your life because if you can’t clearly outline the destination it is unlikely you will ever get there. As the great Stephen Covey says “Start with the end in mind”. September is all about changing careers. Don’t jump in too soon, before you know all the facts. Making a decision to change careers is one of the biggest decisions you will make in your life. It deserves time and attention, making a decision based on one piece of information or one data point is nuts! If you need a new outfit for an important engagement, you will visit several shops before you make your final decision. It may take more than one shopping trip. You will try different outfits on for size and style to be sure they suite you and bring out the best you have. Your new career deserves at least this type of dedication. When considering a new career often people will have two or three options in mind, one will definitely be relating to the skill set they already have just with a different perspective, another will be something they have dreamed of for many years but did nothing about and another may be something brand new that has just spiked their interest. So what to do to find out about these three options, often clients will start by trying to understand how to get into that type of career without spending any time trying the career on for size. My advice try it on for size, see if it suites you, how do you do this? Research Research Research. Often people will over look the skill set they already have and through the baby out with the bathwater. Consider what you like about your current career that you might be able to bring with you to the next. Talk to everyone you know and find professionals in this shiny new career. Meet with these people and find out from them what a day in the life of this position may be like, what is the earning potential, ask the questions that are important to you, it could be about flexible working, it might be about travel etc. Make a checklist of what you want to get from your next career being specific about everything that is important to you, bring your thinking forward a few years and ask the question where do I want to be, how much of a difference do I want to be making to the world, or how many hours do I want to be working at this point etc. Once this checklist is completed use it to compare your investigation into your potential career options. If you need help with any of the above and would like to change careers give me a call or contact me through the form below. You will be able to do this alone and having a coach will cut the time involved in half at least. Mistake No. 2 you don’t want to make when changing career. Following on from yesterday when we talked about not leaving it until you absolutely hate your job to make changes, (as it is a bit late then), today it’s all about finances. Clients come to me wanting to change their career and often it is not until we consider the cost that the light bulb comes on. It takes time and effort and money to make such a change. Sometimes it requires up skilling, which could mean time out of the workplace. Before making the change do your research, get in touch with a career coach and have them help you walk through the process. Your coach will not offer you any advice but if they are any good they will ask the hard questions, questions you always kind of knew in the back of your mind, but you may not have been ready to answer on your own. The bottom line is, you will not go strait into a new career and start earning the kind of money you are now earning. So what to do? Research Research Research! Understand all the angles and then make an educated decision. Often the financial cushion needed to make a transformation from one career to another may have to support you for up to 2 years. If you don’t have the money think of another way of doing it. Up skill while you are still in your current job. Volunteer in your new interest to get some experience. Talk to professionals in your new chosen career and find out the Nitti gritty! Do nothing until you know everything. Mistake No. 1 you don’t want to make when changing careers. This is a subject we have talked about quite a lot in the past however we are still making the same mistakes. This month is about freshening up that CV and being in with a chance. Many of us get itchy feet in September; maybe it’s something to do with the proximity of the Holiday Season, who knows. If you are in the situation of changing careers then your CV needs to promote a new and different message. YOUR OLD CV NO LONGER WORKS. Making a run for it. Mistake No 1. If you are struggling and you’ve waited too long to make the change the likelihood is that you now hate your job, you hate the people you work for and you are not crazy about your colleagues. And you want to make an escape as far away from what you are currently doing as possible. This was me a few years ago so, I hated my job and hence career and this created anxiety and stress, so I left with nothing to go to. (Not the best idea) I then retrained as a coach, this gave me fantastic life changing skills and experience that I now use every day and I am now successful in this field of career coaching and CV writing. However it took me several years to get her. It has been a bit of an up hill journey. (There definitely was an easier way)! On reflection what I could have done was regain my composure and reclaim my power within the workplace. It’s simple really, not easy by any stretch but a simple concept. If I had done that, then I could have regained my respect for myself and brought that to a different organisation. Because as it turns out I loved the career I had chosen but not the company. The moral of the story, don’t make that leap before you have improved your situation. Make your situation better by repairing broken relationships, building more respect, finding your voice, growing your skills and becoming more competent. Once this is achieved you can then bring your newfound confidence to your next position. The biggest secret don’t leave it until you hate going to work to make a change, at this point it may be to late to improve your situation and then you leave with nothing to go to. Consider mentoring or coaching as a support in your efforts.